Seniors Who Stuck With Obamacare Over Medicare Face Looming Deadline : Shots - Health News Although the government temporarily waived penalties for certain late enrollees to Medicare, the deal ends Sept. 30, which may not be enough time for many to comply. Some people seeking Medicare penalty waivers have experienced delays at their local Social Security Administration offices. Many older Americans who have Affordable Care Act insurance policies are going to miss a Sept. 30 deadline to enroll in Medicare, and they need more time to make the change, advocates say. A lifetime of late enrollment penalties typically await people who don't sign up for Medicare Part B, which covers doctor visits and other outpatient services, when they first become eligible at age 65. That includes people who mistakenly thought that because they had insurance through the ACA marketplaces, they didn't need to enroll in Medicare. Earlier this year, Medicare officials offered to waive penalties for the ACA insurance buyers under a temporary rule change that ends Sept. 30. On Wednesday, more than 40 groups, including insurers and consumer health advocacy organizations, asked Medicare chief Seema Verma to extend the waiver deadline through at least Dec. 31 because they are worried that many people are still unaware of the problem. 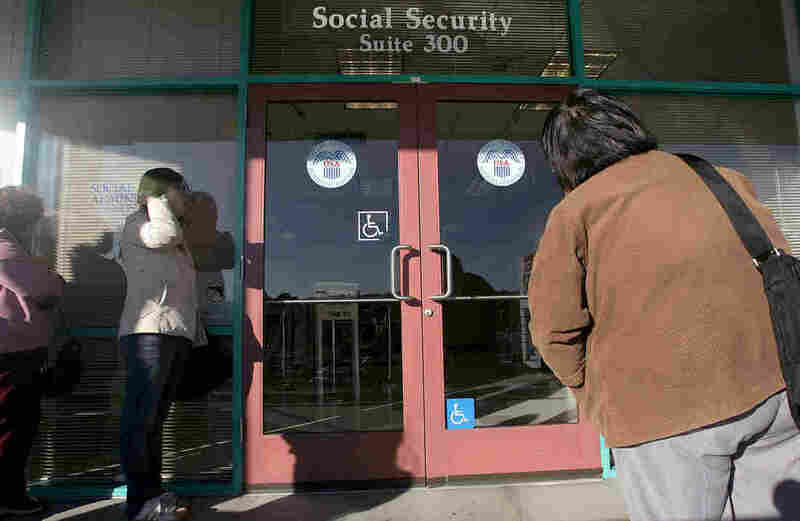 They also say more time is needed because some beneficiaries are experiencing delays at local Social Security Administration offices where they go to request the waivers. "We know there are people who can still benefit from it [the waiver]," says Stacy Sanders, the federal policy director at the Medicare Rights Center, a Washington-based advocacy group that coordinated the request to Medicare. "We know there have been delays, and those are good reasons to extend it." Counselors at the Medicare Rights Center have helped seniors apply for the waiver in Arizona, California, Florida, Minnesota, Missouri, New Jersey, and New York, she says. Since the marketplaces opened in 2014, the focus has been on getting people enrolled, Sanders says. "There's no reason to expect that people would understand how to move out of the marketplace into Medicare." The waiver offer applies not only to people over 65 who have kept their marketplace plans, but also to younger people who qualify for Medicare through a disability and chose to use marketplace plans. The waiver also allows Medicare beneficiaries who had earlier realized their mistake in keeping a marketplace plan to ask for a reduction or elimination of the penalty. In addition, the waiver is only available to people eligible for Medicare after April 1, 2013. Officials at the Centers for Medicare and Medicaid Services would not provide details about the number of waivers granted or pending applications. Barbara Davis, 68, says that when she initially applied, a Social Security representative didn't know about the waiver. She eventually contacted the Medicare Rights Center, where a counselor interceded on her behalf in June. A day later, a Social Security representative told her she would not face a penalty. "My advice would be, find out your rights before you apply," says Davis, who lives with her husband in rural western New York. "Because they don't seem to want to give you information to help you, you have to know this on your own." A Social Security spokeswoman says the agency is processing waiver applications from "across the country" but does not keep track of the number. She declined to comment on whether SSA employees know about the waiver. Sanders suggests that people applying for the waiver ask Social Security officials for it by using its official name: "time-limited equitable relief." It's easy to see how people can make mistakes. Since Medicare's Part A hospitalization benefit is usually free, some seniors who liked their marketplace coverage thought incorrectly that they had nothing to lose by signing up for Part A and keeping their marketplace plan. Other people receiving Social Security retirement or disability benefits opted to keep their marketplace plan and drop Part B after the Social Security Administration enrolled them automatically in Medicare when they became eligible. If beneficiaries miss the Sept. 30 deadline, the only other way for them to get out of penalties is by proving they declined Part B because a government employee misinformed them. The groups writing Verma argue that keeping the penalty waiver in place longer could also help many beneficiaries who may be surprised by a little-known rule that will affect 2018 marketplace policies. For the first time, insurers will be prohibited from issuing a marketplace plan if they know the member is eligible for Medicare and the 2018 policy is significantly different. Those who find themselves without a marketplace plan could be in for another surprise: They won't have insurance for outpatient care until July 1 because Medicare imposes a waiting period before Part B coverage kicks in for latecomers. Extending the deadline "would lessen a significant hardship for many people ... because they are unaware of the repercussions that could result from keeping their marketplace coverage," says Cathryn Donaldson, a spokeswoman for America's Health Insurance Plans, an industry group. For information on how to apply for the time-limited equitable relief waiver, go to the Medicare Rights Center's Medicare Interactive webpage or call the center's helpline at 1-800-333-4114.